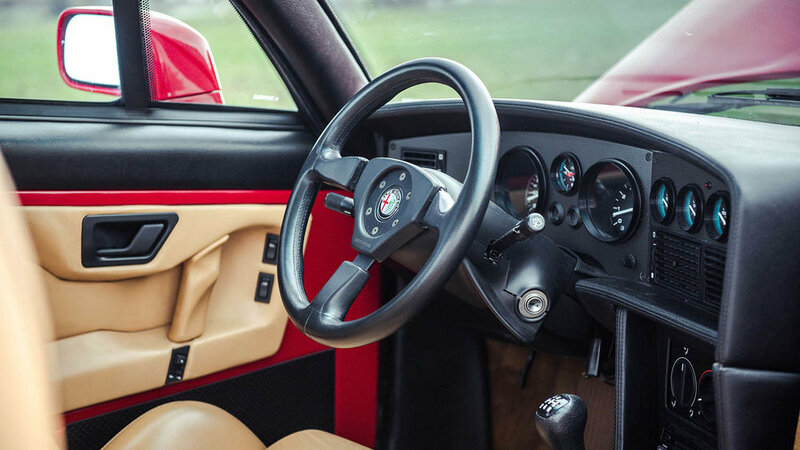 Dating back to the late 1950s, the Alfa Romeo SZ, or Sprint Zagato, designation has always been an indication of speed. The 1991 SZ is no exception. 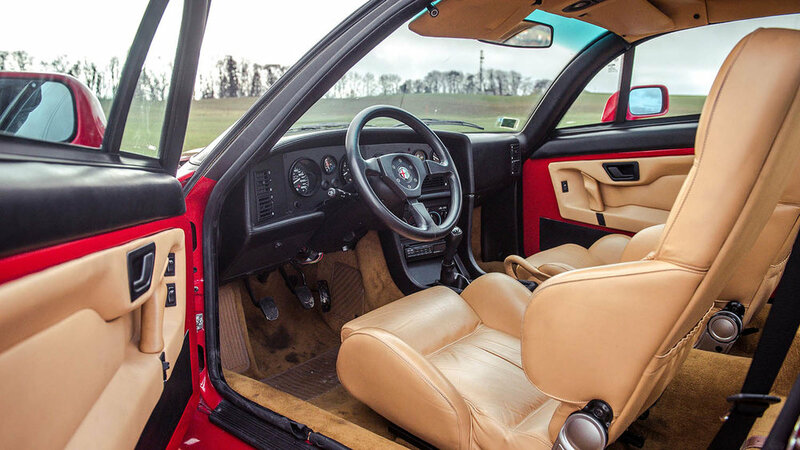 Initially considered a joint design exercise for Alfa Romeo and its parent company FIAT, production began at the Zagato factory at Terrazano di Rho. 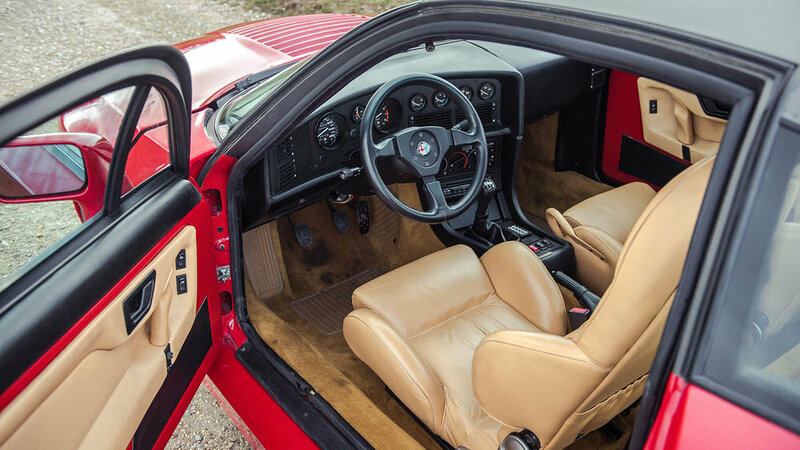 Unveiled to the public and press to rave reviews at the 1989 Geneva Salon and originally called ‘ES 30’, the SZ soon became known as ‘Il Mostro’, Italian for ‘The Monster’, because of its superb performance and outlandish styling. 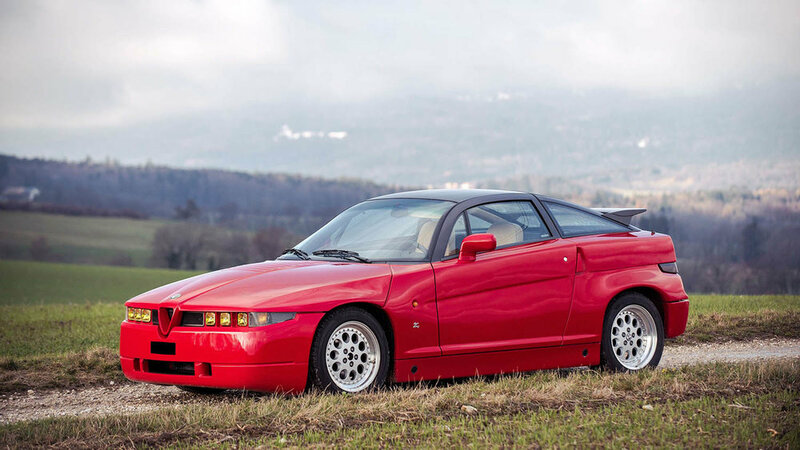 The SZ looked like nothing else available at the time, eschewing the rounded styling and aluminium-alloy styling normally associated with Alfas built by Zagato in favour of an angular moulded plastic body with an alloy roof painted in contrasting colours, dark grey for the red livery. 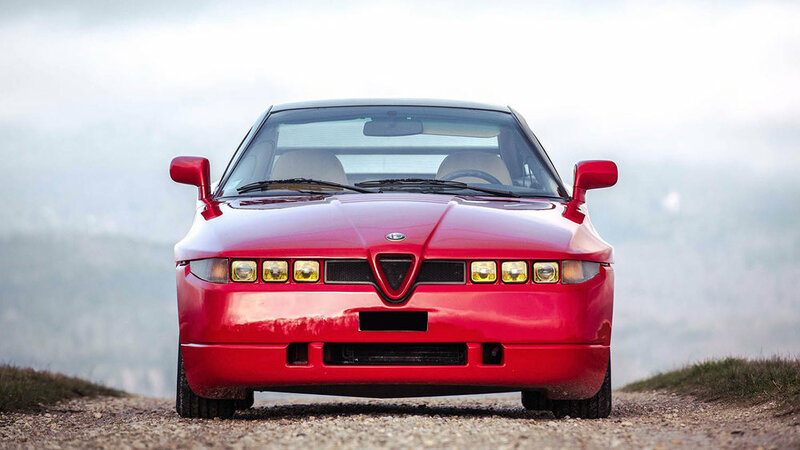 Alfa’s innovations did not stop with the SZ’s styling. Though a unique design overall, many of the mechanical parts were improved and uprated designs from other FIAT products. The suspension was developed by engineer Giorgio Pianta, using the suspension from the noted Alfa Romeo 75 rally car as a starting point. Pianta’s work gave the car superb road holding and cornering ability. 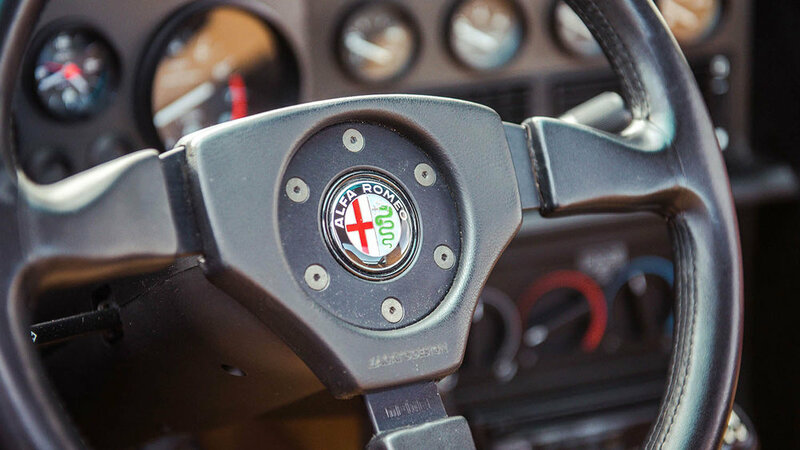 The 3.0-litre quad-cam V6 was used in many Alfas of the period and is considered by many enthusiasts to be one of the finest engine packages ever designed. The aggressive styling of the coupé was attractive but, perhaps more importantly, was also highly aerodynamic. 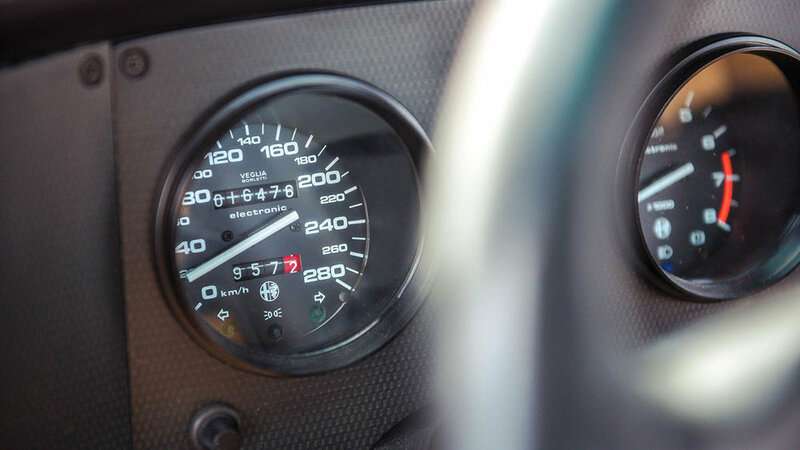 The drag coefficient of just 0.30, combined with the 210 bhp from the engine, propelled the SZ to a top speed of 152 mph, a highly respectable number at the time. Initially slated for a production run of 1,000 left-hand-drive only examples, it is believed that 1,036 were produced. Even this increased number could not satisfy the overwhelming demand. 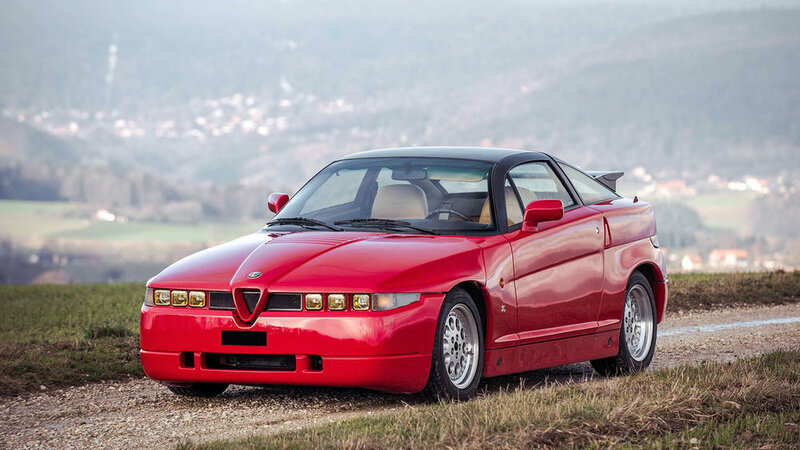 Artcurial will be offering this 1991 Alfa Romeo SZ Coupé at their upcoming Rétromobile Sale in Paris on the 8th February. For more information on this and other vehicles at the sale, click on the link below. Photos © Loïc Kernen / Artcurial.